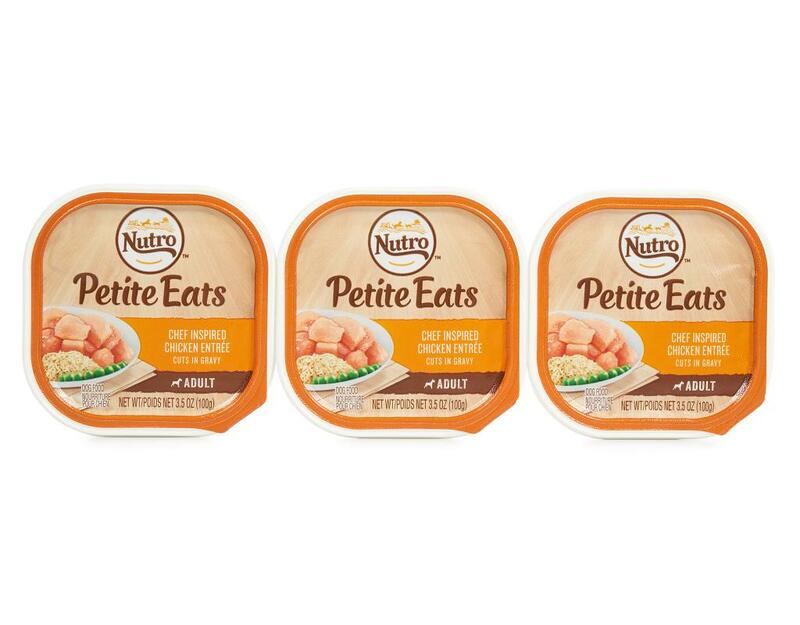 A pet's food energizes them from the inside out, and Nutro clean recipes are simple, purposeful, and trustworthy - made of real, recognizable, Non-GMO ingredients. 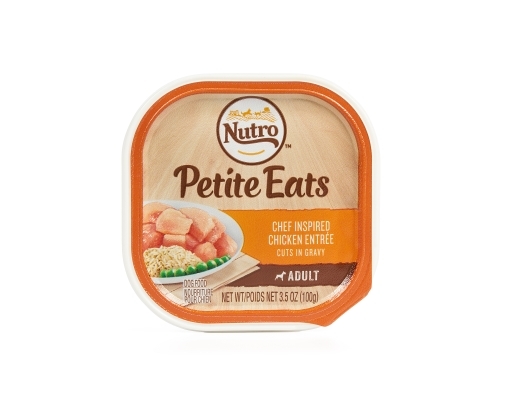 Nutro Petite Eats 24 count multipack Chef Inspired Chicken Entrée Cuts in Gravy is a tasty recipe formulated to help small breed dogs stay healthy and strong. Nutro Wet Dog Food uses real chicken for a great taste even finicky dogs will enjoy. Optimal levels of linoleic acid and zinc help give your dog healthy skin and a shiny coat. 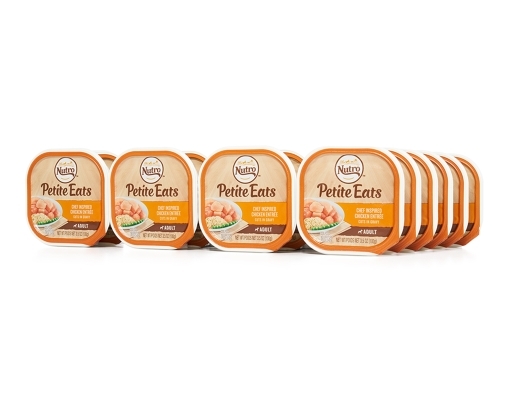 This natural dog food offers complete nutrition, rich in nutrients and full of flavor. Nutro Quality Pledge: Natural ingredients carefully sourced from a trusted network of farmers and suppliers, no chicken by-product meal, soy, artificial flavors or preservatives. Get ready to see your dog dance when you open a can or tray of delicious Nutro Wet food! These delicious meals provides 100% complete and balanced nutrition and benefits. like: shiny skin and coat, healthy digestion, or healthy joints. 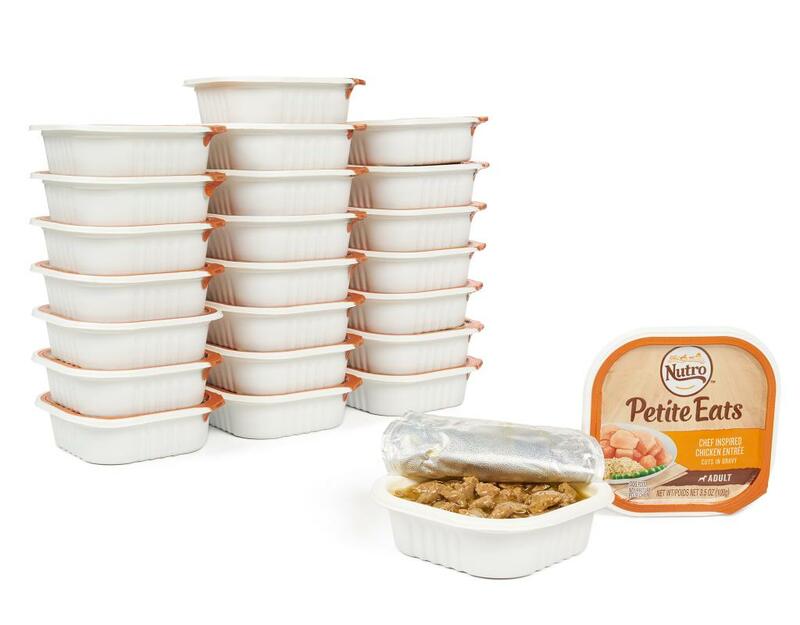 Always made with high quality proteins and delicious ingredients to add flavor and create a special daily dish for your dog. 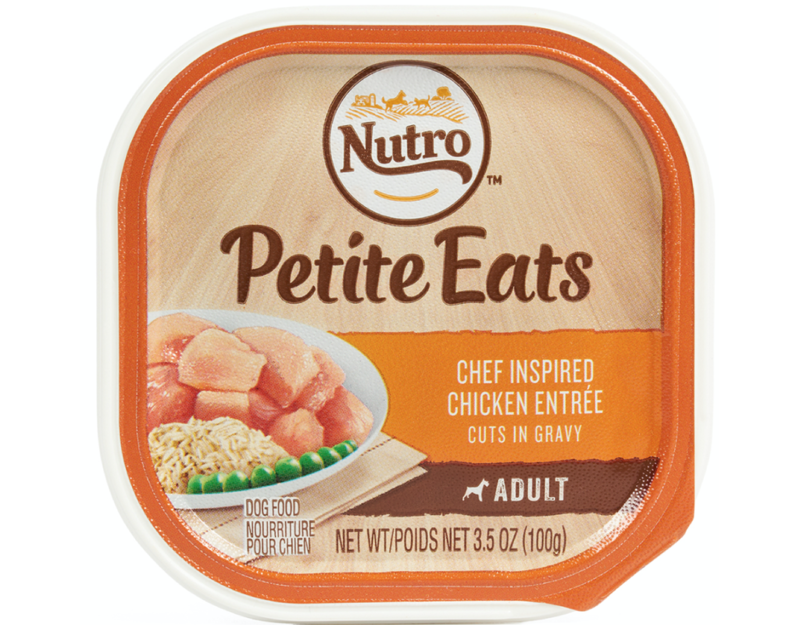 All Nutro wet dog food is perfect to mix with Nutro Dry dog food. 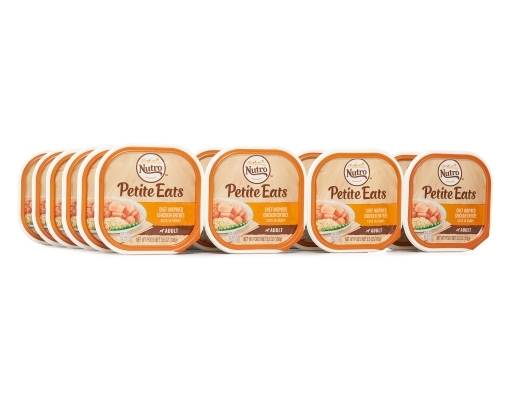 Made with natural ingredients carefully sourced from a trusted network of farmers and suppliers. 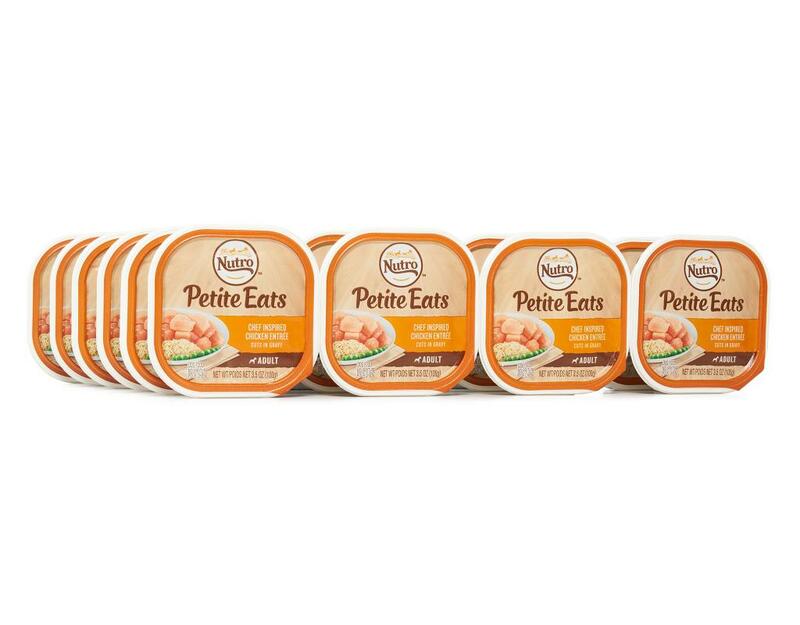 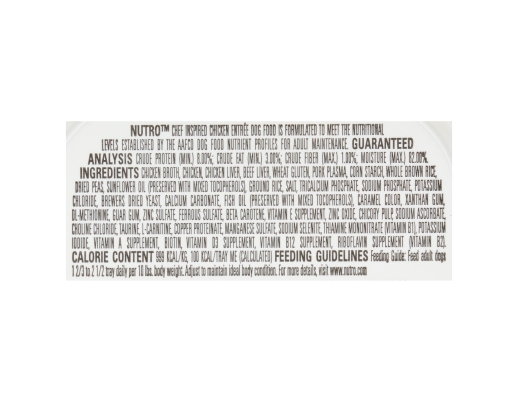 No chicken by-product meal, soy, artificial flavors or preservatives.